What will the vendor's proposed acquisition mean for Nimble's partners? Hewlett Packard Enterprise (HPE) announced its intention on 7 March to acquire Nimble Storage for $US1 billion, in a move aimed at strengthening HPE’s flash storage portfolio by expanding market reach and enabling a transformed, analytics-based customer experience. Among the potential side-effects of the deal, however, could be the emergence of a flurry of new alliances by existing technology partners of the flash storage vendor, such as Cisco and Lenovo, according to Technology Business Research analyst, Krista Macomber. “The deal would notch another significant point of competitive consolidation in the data center space spurred by HPE, forcing Nimble partners including Cisco Systems and Lenovo to create new alliances or potentially acquire in flash storage, storage performance monitoring and analytics, and hybrid IT management, while consolidating the roster of available pertinent solutions configurations for customers,” Macomber said. Certainly, this potential – and seemingly likely – eventuality has not been lost on Matt Kixmoeller, Vice President of Products at Nimble competitor, Pure Storage, who suggested that new alliance that may be forced as a result of the proposed acquisition could lead to some level of confusion within Nimble’s channel. “If you follow Nimble’s earnings calls, they have been focused on building two key partnerships – Cisco for Converged Infrastructure with SmartStack, and Lenovo as an OEM. It’s hard to imagine either of these relationships continuing under the HPE umbrella – meaning lots of potential for channel disruption as a result,” Kixmoeller said in a blog post published on 8 March. Kixmoeller also suggests that the acquisition could lead to a “100 per cent” overlap in technology and market, implying that HPE’s 3PAR storage portfolio covers much of the same ground covered by Nimble. “If you believe 3PAR, they do everything Nimble does, and much, much more. And on the surface, that seems to be true. 3PAR appears to have literally every feature that Nimble offers, and then many, many more,” he said. Macomber, on the other hand, is clear that the slated integration of HPE and Nimble will likely unlock additional opportunities for the vendors when it comes to serving next-generation workloads, such as hybrid cloud service hosting. “Immediately upon closing, Nimble’s all-flash array portfolio would fill a market gap for HPE between entry-level and enterprise-caliber offerings,” Macomber said. “From a longer-term perspective, HPE will tap Nimble storage innovation to significantly bolster its solution sets around hybrid IT. “Most notably, Nimble’s InfoSight Predictive Analytics platform would bring enhanced storage monitoring, reporting, forecasting and planning capabilities that stand to substantially bolster HPE’s ability to address customers’ increasingly pressing need for storage agility and efficiency,” she said. The new capabilities offered by Nimble could be especially potent when combined with the capabilities brought into the fold following some of HPE’s other recently announced acquisitions, according to Macomber. Read more Where will HPE’s Pointnext launch leave local partners? In January, HPE announced it would acquire hyperconverged platform provider, SimpliVity, for US$650 million. On 23 January, HPE also revealed plans to bolster its hybrid cloud pay-as-you-go pricing capabilities with the acquisition of cloud consumption analytics software provider, Cloud Cruiser. 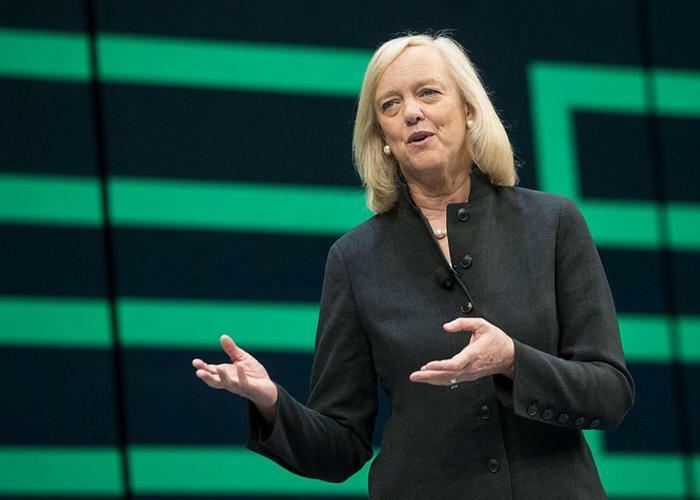 While the ongoing acquisition spree is likely to quickly and significantly advance HPE’s market traction and innovation in critical corners of the data center market, according to Macomber, such a strategy could create the potential threats of “scattershot” branding and customer and partner confusion that she suggests will be critical for HPE to manage.